Frequently Asked Questions – a work-in-progress page. If you think I’ve missed something please let me know! Why do you spell your name wrong? OK, it’s not wrong! This is something I’ve had to explain since I first went to school and teachers thought I couldn’t even spell my own name. My name is Niel – ‘i’ before ‘e’ – but it’s pronounced the same as a regular Neil or Neal (or Kneel Before Zod!). Why is it different? Well, my dad is from Scotland and it’s just a variation spelling from that part of the world – they still use the more common Neil as well there. It might originate in Scandinavia, or even France, but either way it makes for an interesting talking point! I’m from Hartlepool, a coastal town in the north-east of England that sits on the edge of an illegal fairy ring. I write fiction for children and young adults and old adults (I’m not sure that’s a recognised category). I tell stories with fantasy and science fiction elements but they’re typically set in our world and mix reality with speculative concepts. My first two novels, Sorrowline and Timesmith, are aimed at 9-12 year old readers who enjoy fantasy, science-fiction, adventure or time-travel stories. I have recently finished my first novel for adults. I’ve just finished a new novel called The Death of Goldilocks. I don’t know when (or if) it’ll get published but I’ll be sure to shout about it somewhere on my website when I’ve got any news. 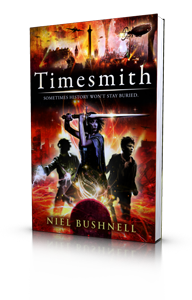 I’m also working on the third book in the Timesmith Chronicles series, as well as a comedy fantasy story and a picture-book for younger children. Will you come to my school/college/library/festival? I regularly do talks and workshops at all of those. I’ve even talked at a church and a comedy club! See my events page for more details. I’ve a great idea for a story! Will you write it? Sorry but no. My head’s already full of my own ideas and I only ever work on my own projects. I’d love to say yes, but time commitments make it almost impossible. I sometimes run writing workshops where there’s time for feedback – keep an eye on my events page for details. Failing that find friends who you can rely on to give you honest feedback on your work, or a writing group where you live. So if you can’t help me how do I get my work seen? There are lots of groups to support new and established writers. Check out your local library for literary events and writing groups. If you’re in the north of England I can recommend New Writing North as a great starting point. Their Cuckoo Young Writers programme gives writers aged 12-19 years the chance to experience working with a professional writer, and gain advice, support and feedback on their work. Cuckoo Young Writers runs sessions across the North East, with groups meeting in Newcastle, Sunderland and Cramlington, and more planned for the future. All the usual places where you buy your books – online, offline, underground, overground – even the planet Zeist has a copy or two. 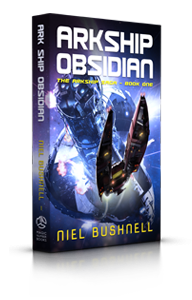 Just ask in your local store and they should be able to order a copy for you. Can I get a book signed? Yes! Have a look at my shop here! I’m a certified third-level telepath, so just transmit your inquiry to me directly from your mind using Thought-Space and I’ll respond immediately. Failing that you could try my contact page for alternative methods of communication.